The universal truth is that in today's time men with the shorter height feel insecure – whether its about their career, marriage or standing in the society. But anyhow this is not true unless and until you have an ability to dress accordingly. In another word we can say that good things come in small packages. Height is not the main reason which makes men with shorter height insecure, it's the way he carries his personality and attitude. Sometimes, you need to know all your weakness and strengths. Vertical Stripes: Stripes always create a visual effect, horizontal stripes tends to make you look broader whereas vertical stripes make your eyes travel up not across, thus, creating an illusion of extra inches. Therefore, it would be best if you go for the vertical pattern more. No Baggy Clothes: Eventually, baggy clothes don't look good on anyone, it seems that you are wearing clothes of your elder. 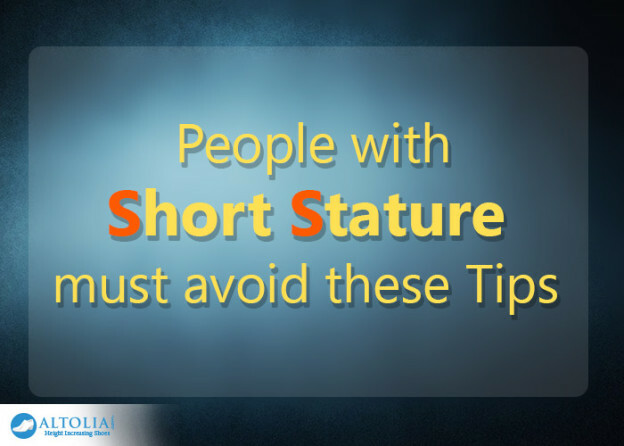 Men with the short height must dress smartly so that their appearance don't ruin their personality. Make sure you pay attention to all the designs and cuts before picking your clothes. Avoid trousers, pants and denim with pleats and cuffs: You want to look long so wearing your favorite pair of jeans with cuffs will make you appear shorter. Perfect Accessories: Always remember your tie needs to be in proportion to your body, not to long nor to short. There are many ties available in the market which are too long and they appear differently thus, giving you a shorter appearance. So, it is recommended that you must search for tie which is designed specially for the shorter men. This same goes for the belt also – opt for a slimmer design which is not too wide or long. Narrow strap watch is recommended too. Shoes: Embrace your height by wearing normal shoes which mean you need to avoid your platform risers or soles. However, if you want to add few inches to your height then go for it in a discreet way such as wearing height- increasing shoes for men designed with concealed heels. Follow these essential tips to stand tall & confident!